So said US economist Nouriel Roubini in a spate of heavily critical comments aimed at the cryptocurrency and its advocates via Twitter on Sunday (9th March). 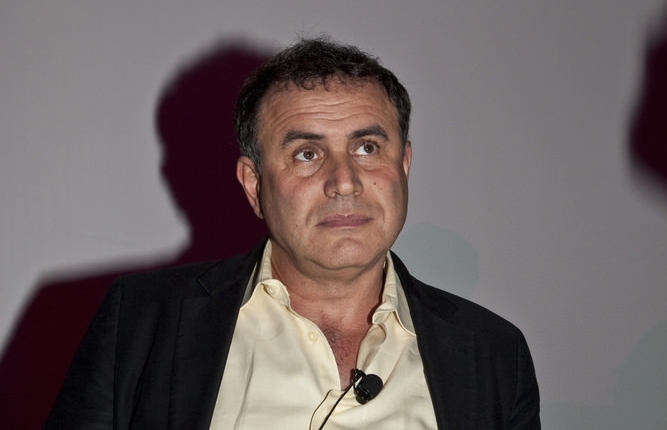 Roubini, who lectures at the Stern School of Business and heads an economic consultancy firm, has earned himself the nickname ‘Dr Doom’ for his often gloomy economic outlooks. However, he is not a man to be ignored. Roubini famously predicted the US housing market crash of 2006 and the global financial chaos that ensued. That there are issues to be ironed out with the young digital currency, even its most ardent advocates would agree, but why the economist has chosen this moment for the attack is not clear. The bitcoin world is currently recovering from a spate of high-profile company collapses – most notably that of Mt. Gox, once the world’s largest bitcoin exchange. Mt. Gox recently declared itself bankrupt, citing the loss of around 750,000 of its clients’ bitcoins to hackers. Similar events have also caused the recent closure of the Flexcoin bitcoin ‘bank’. It should be noted that it has yet to be ascertained that any fraud was involved in the Mt. Gox collapse. CEO Mark Karpeles has admitted only to losing bitcoins stored at the company via theft. While the volatility of bitcoin has been a concern, recent events (such as the collapse of Mt. Gox) saw more moderate price movements than might have been expected – a sign, many hoped, of the digital currency’s resilience and growing maturity. This is not the first time Roubini has criticised bitcoin. In January, he called it a potential bubble caused by Federal Reserve money printing. Bitcoin has many notable advocates in the public eye, including Richard Branson, CNBC’s Jim Cramer, and Al Gore, and one US congressman even launched a satirical bid to ban the dollar in response to a senator’s attack on the cryptocurrency. The fact remains, though, that some mainstream economists have been reluctant to support bitcoin.